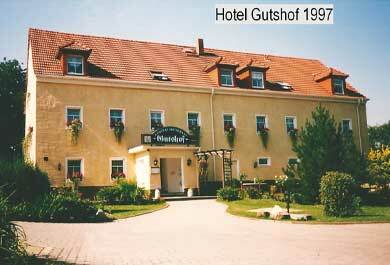 It started in the year 1992, with the conversion of the building. 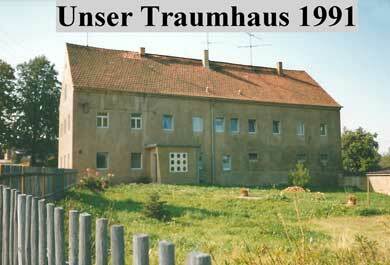 First building the year 1856 and used as farm in the GDR. 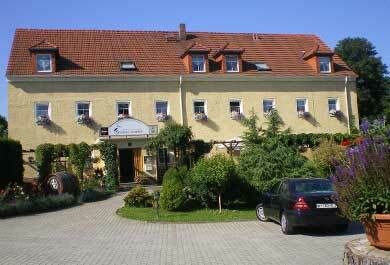 Bernd und Barbara Weßollek establish the boarding house 10/03/1992 – the vault turns to a charming restaurant. In the year 2000 daughter Tina came back from her training in france. 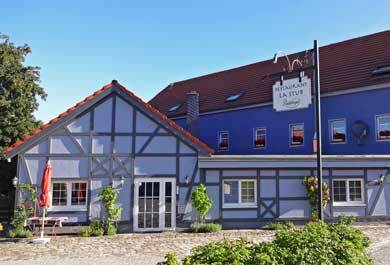 The start of french cuisine an the L’Auberge Gutshof. 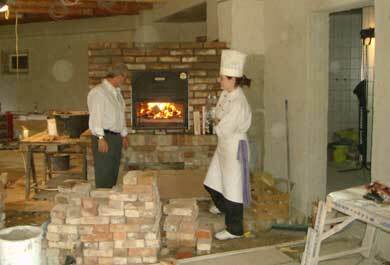 In the year 2005 we’ve extended the house, with a bigger kitchen and the restaurant „La Stub“ for bigger company. Opening: 07/29/2005. We chanced the colour fort he 20th anniversary in the year 2012. The building turns from yellow to blue. In this time our french restaurant gets more and more attention. Visitors come from near and far to know our house and cuisine. 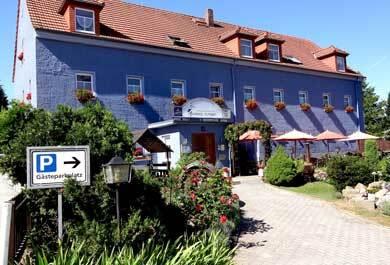 ... in the middle of Upper Lusatia: culinary delights from the Alsace, a rual charm and a big portion of hospitality.